The 2017 WAVE SST features a Compact-C canopy profile and a condensed version of Slingshot’s popular shock-absorbing IRS bridle system. The combination of canopy geometry and bridle configuration results in a kite that flies deep in the window, in the sweet spot for surf-specific performance. Two main features that make the WAVE SST such an amazing surf kite are: How well it drifts downwind and how quickly it can pivot even when you’re depowered, sheeted out or moving toward the kite. These characteristics also make the WAVE an ideal kite for foiling. The WAVE SST is extremely robust, taking Slingshot’s bomber surf-tough standards a step farther, with a special Surf Grid panel layout that adds strength and durability to the canopy, and a condensed bridle setup. Trailing edge tension is now controlled with the addition of Teijin T2 Polyester ripstop canopy material, which decreases trailing edge flutter and increases durability. We reinforced the one-pump inflation valve’s connection to the bladder to help prevent blowouts caused by improper hose attachment/ detachment. Finally, we added two Kevlar patches to prevent bridle rub on the trailing edges. 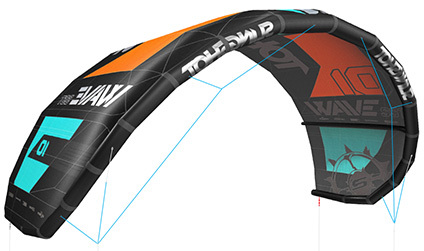 The WAVE SST features multiple attachment points that allow riders to fine-tune the kite’s handling and performances based on their riding style and the conditions of a particular session. This tuning is done quickly and easily and makes a big impact on the kite’s overall performance; you can choose different settings for boosting big, for unhooked freestyle, for user-friendly depower or for riding waves, to name a few. 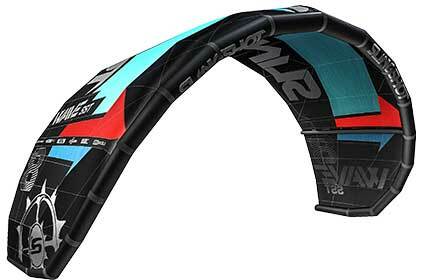 Slingshot is thrilled to introduce a radical new kite to its 2016 lineup – the Slingshot Wave SST. With a design that will redefine the meaning of a true surf-specific kite, the Slingshot Wave SST (Slingshot Surf Technology) features a Compact-C canopy and compact direct-connect bridal that looks like a cross between an RPM and a Rally, but performs unlike any kite on the market. Built with significant and unrivaled upgrades to Slingshot’s already bombproof construction, the Slingsho Wave SST (offered in 6, 8, 10 and 12 meter sizes) is sturdy enough to take a pounding in the surf, but light enough to track magically downwind, downloop on a dime and whip across the window at the flick of a wrist. 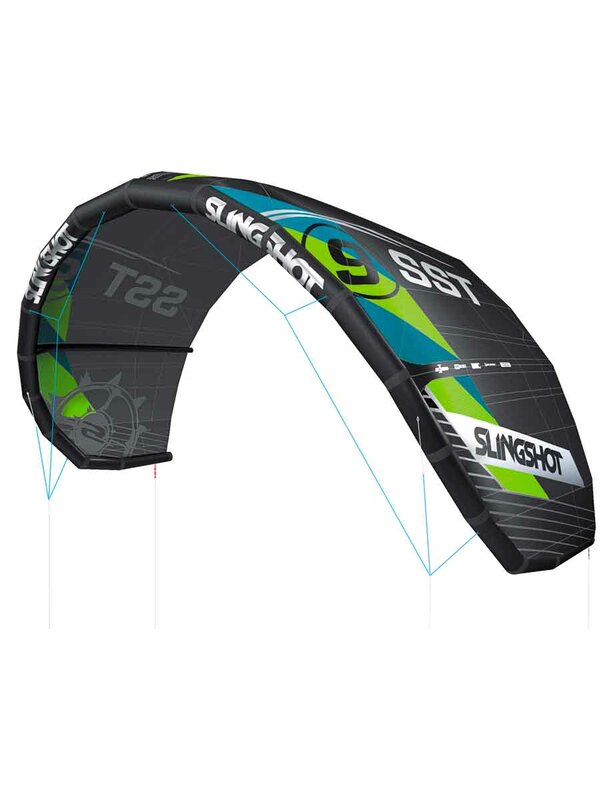 For kiters serious about taking their wave skills to the next level, the Slingshot Wave SST is the kite to take them there. 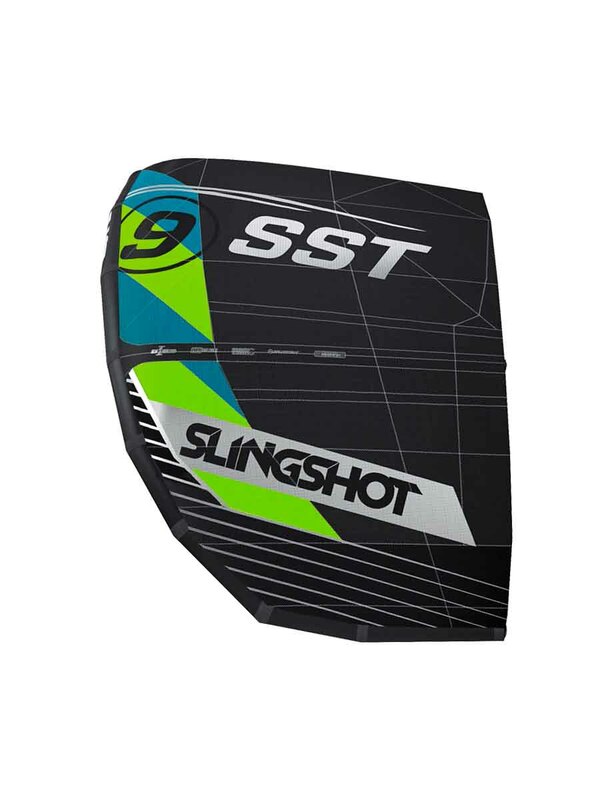 The Wave SST is equipped with a modified version of Slingshot’s revolutionary new shock-absorbing IRS bridal (featured on the 2015 Slingshot RPM), which provides instant feedback and response, unrivaled stability and is condensed enough that it can’t get wrapped around wingtips if rolled in the surf. With a shape that favors serious downwind drift, unbelievable turning speed even when fully sheeted-out and a feather-light feel when shredding down the line, slashing faces and bottom-turning, the Wave SST has set a new standard for what a wave kite can do for its riders. 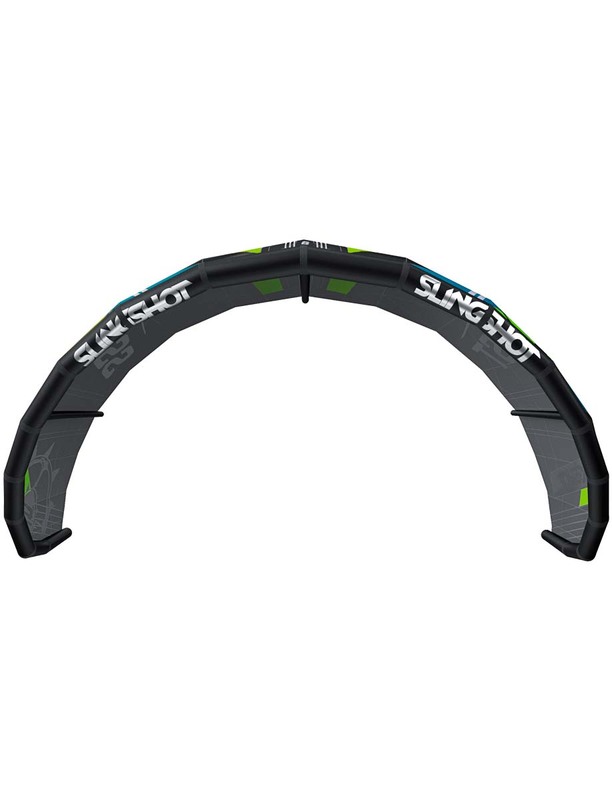 Slingshot coined the term “Surf Tough” nearly 15 years ago with its unique seam technology, and its designers have taken that concept to another level with the Slingshot Wave SST. The kite is constructed with an extra heavy duty Rip Stop Surf Grid canopy material and has extra panels reinforced in a gridded quilt pattern to provide increased strength in the event of a water landing. These upgrades compliment Slingshot’s already rock-solid construction that makes our kites the most resilient on the market. 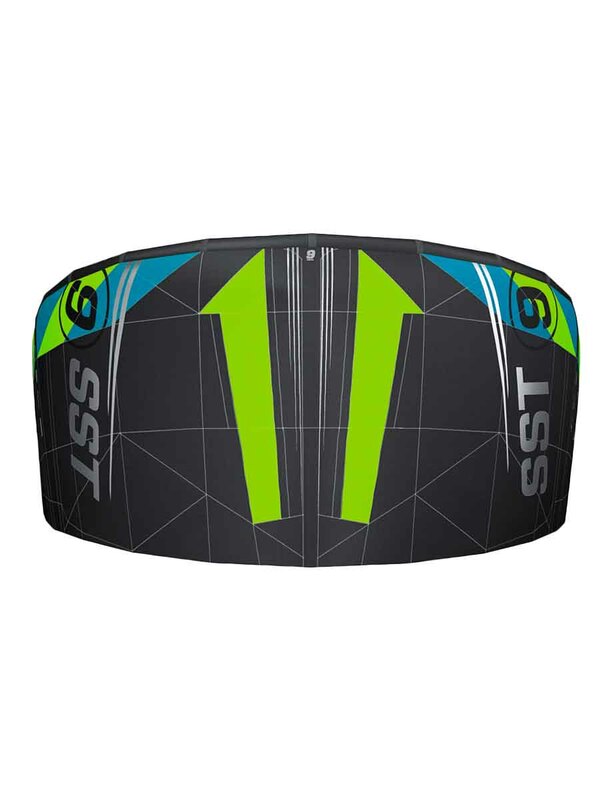 Although built specifically for surf, the Slingshot Wave SST is also an outstanding kite for easy-going strapless riders and the rapidly-growing faction of foil boarders due to its incredible depower, feather-light feel and unrivaled turning characteristics. For customized performance, the kite features three trailing edge attachment points which result in more or less bar pressure and sensitivity depending on which point is chosen. All of Slingshot’s 2016 kites come with our new One Pump Speed System, which increases inflation efficiency to get you out on the water faster and with less energy than before. Slingshot Wave SST 2017 from Slingshot Kite on Vimeo. Slingshot Wave SST 2016 from Slingshot Kite on Vimeo.